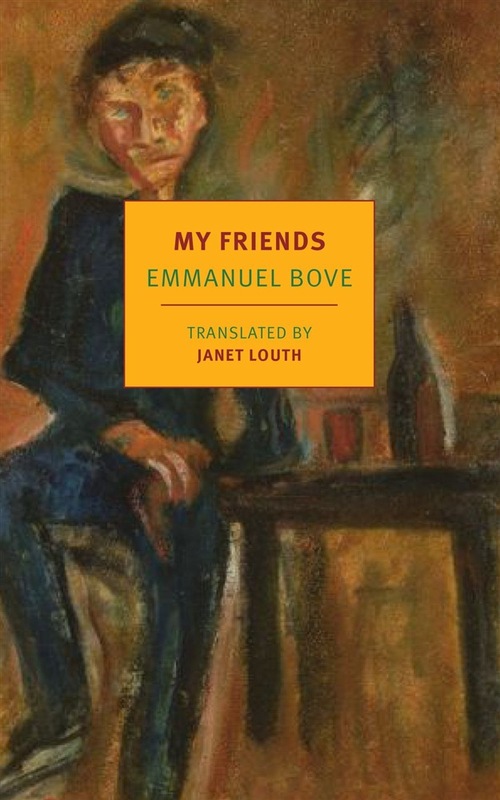 Bove's tale of a World War I veteran living in postwar Paris, searching for friendship and warmth, is an ironic, entertaining masterpiece by one of France's favorite authors. My Friends is Emmanuel Bove’s first and most famous book, and it begins simply, though unusually, enough: “When I wake up, my mouth is open. My teeth are furry: it would be better to brush them in the evening, but I am never brave enough.” Victor Baton is speaking, and he is a classic little man, of no talent or distinction or importance and with no illusions that he has any of those things, either; in fact, if he is exceptional, it is that life’s most basic transactions seem to confound him more than they do the rest of us. All Victor wants is to be loved, all he wants is a friend, and as he strays through the streets of Paris in search of love or friendship or some fleeting connection, we laugh both at Victor’s meekness and at his odd pride, but we feel with him, too. Victor is after all a kind of everyman, the indomitable knight of human fragility. And, in spite of everything, he, or at least his creator, is some kind of genius, investing the back streets and rented rooms of the city and the unsorted moments of daily life with a weird and unforgettable clarity. Acquista My Friends in Epub: dopo aver letto l’ebook My Friends di Emmanuel Bove ti invitiamo a lasciarci una Recensione qui sotto: sarà utile agli utenti che non abbiano ancora letto questo libro e che vogliano avere delle opinioni altrui. L’opinione su di un libro è molto soggettiva e per questo leggere eventuali recensioni negative non ci dovrà frenare dall’acquisto, anzi dovrà spingerci ad acquistare il libro in fretta per poter dire la nostra ed eventualmente smentire quanto commentato da altri, contribuendo ad arricchire più possibile i commenti e dare sempre più spunti di confronto al pubblico online.